Your skin, my skin, our skin. What is the color? 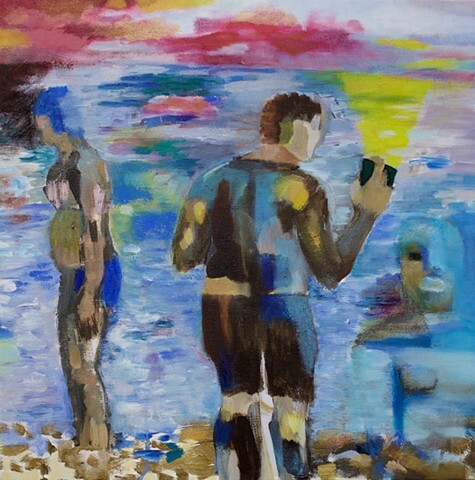 This painting is inspired by images of people covered with mud at the Dead Sea beach.